Have you ever been in a situation that your iOS devices like iPhone and iPad have gone crashed and you lost all the data within? Your photos, your music, your text messages, your contacts and even some crucial personal info… what’s even worse is, you can’t stand to lose them because you don’t have any backup. For most of us, our data is much more valuable than our devices. We can’t afford to lose them because our beneficial relationships and memorable memories may be included. 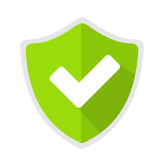 That’s the reason why we provide professional reviews on this site – to protect everyone from loss caused by iDevices and iOS breakdown. We keep hand-picking qualified iOS data recovery applications, reviewing them and providing tips and tricks to use them. There are a lot of similar tools available but not all of them are capable of managing a worry-free recovery job. My coworkers and I are testing these software and trying to evaluate them so that you won’t have to going through all the searching and researching phases. Anyway, the most important thing is not data recovery – you should make sure that you have a backup of all your crucial data. But if unfortunately you come across an iOS crash and you want to retrieve the data within, come visit our site to see the most detailed reviews of the best iOS data recovery software at present, which may save you money, time and effort. Data has become an integral part of our day-to-day life. Nowadays every activity even from the beginning of day like exercise to food intake for well-being to sleep is tracked and shared. Data decision making patterns are evolving where Google completes your search most of the time even before the third letter is typed, YouTube recommends videos of your interest, Facebook suggests new friends. You can compare and choose a restaurant or hotel using TripAdvisor, Yelp or Discussion forums. The evolution of mobile phones into powerful computers in the hands of the common man through the myriad of apps making sharing and storing possible. The collection and storage of data by the software applications happen automatically be it any mobile device including smart phones, tablets, laptops, iPad, iPod. So, we are unconsciously creating data every day and what if we delete this data accidentally? What if your device is stolen? What if your device is damaged? What if your device is lost? If you have any of the iOS devices and if any of the above happens or if you are switching to a new phone or if you anticipate that any of the above might happen, then you should be considering an iOS data recovery software. An iOS Data Recovery Software helps you to recover and export or restore the deleted data. So, investing in an iOS Data Recovery Software tool is worth every penny when you have any of the iOS devices. Now, there are many iOS data recovery software tools available on the market. So, let us go through a list of things to consider while choosing an iOS Data Recovery Software. iOS devices by Apple Inc. include of iPhone multimedia smartphone, iPad tablet computer and iPod Touch handheld PC which does not have cell phone hardware and cellular radio. All the three iOS devices function as Internet clients, portable media and digital audio players. iPhone 7, iPhone 7 Plus, iPhone SE, iPhone 6s, iPhone 6s Plus, iPhone 6, iPhone 6 Plus, iPhone 5c, iPhone 5s, iPhone 5, iPhone 4s, iPhone 4, iPhone 3GS, iPhone 3G, iPhone 1st gen.
iPad Pro 9.7, iPad Pro, iPad Mini 4, iPad Mini 3, iPad Mini 2, iPad Mini Wi-Fi + Cellular, iPad Mini Wi-Fi, iPad Air 2, iPad Air, iPad 4 Wi-Fi + Cellular, iPad 4 Wi-Fi, iPad 3 Wi-Fi + Cellular, iPad 3 Wi-Fi, iPad 2 Wi-Fi + 3G, iPad 2 Wi-Fi, iPad 2 CDMA, iPad Wi-Fi + 3G, iPad Wi-Fi. Accidentally deleting some data from iPod Touch screen device is extremely easy after a quick swipe or tap. The data is not permanently erased by deleting files like contacts, messages but they are simply placed in the database of iPod. iPod Touch (6th Generation), iPod Touch (5th Generation), iPod Touch (4th Generation), iPod Touch (3rd Generation), iPod Touch (2nd Generation), iPod Touch (1st Generation). The software tool should be picked in such a way that it should be able to support the device and its later versions because who knows that you may upgrade to a much latest version of iOS in the future. So always keep in mind to pick an iOS Data Recovery Software in such a way that it supports the future versions also on your iOS device whatever it may be. If you have more than two different IOS devices, then pick a software which is compatible with both devices. A good iOS Data Recovery Software supports various data and file types. Personal Data like Contacts, Messages, Reminder, Call History, Calendar, Safari History, Safari Bookmark, Notes, Voicemail, Voice Memo, Message Attachments. Media data like Photo Stream, Playlist, Camera Roll, Photo Library, Audio Book, Video, Music, Ringtone, iBook. App data like WhatsApp, Skype, WhatsApp Attachment, Skype Attachment, App Document, App Video, App Audio, App Photo, App Clone, Instagram, Flickr, Kindle, Kik Messages. The file types to be supported are Joint Photographic Experts Group (JPG), Graphics Interface Format (GIF), Portable Network Graphics(PNG), Tagged Image File Format (TIFF), QuickTime Content(MOV), MP4, Calendar Data(ICS), Virtual Card File(VCF), Advanced Audio Coding(AAC), MP4, MPEG Audio Layer III (MP3), Electronic Mail Message File(EML), Hypertext Markup Language(HTML), The Comma-separated values(CSV). Choose a software tool which caters to your needs most regarding the data types whether it is personal, media or app data. The different software’s in the market provide different ways to scan and speed of recovery. After connecting the iPhone device to the computer some software scan in minutes and recover all the lost media files, contacts, messages etc. and even allow to select which type of files needed to be recovered. The recovery speed is very fast for some software’s, with accurate results, but deep scan does take time. So, check if your requirement is for high scan and recovery speed before purchasing and at what price you are placing for this feature. For accurate scanning result, complete scanning of iOS devices and their iCloud or iTunes backup should also be ensured by the software tool. Few software tools can only recover corrupted or mistakenly deleted files but cannot help in recovering if the device is lost/stolen. Always opt for a software which is secured using SSL encryption and never shares your data with anyone including them. What is more important than the privacy of your important data? Existing iMessages can be exported to computer and stored. It is always safe to occasionally take back up to your computer or laptop to be protected from data loss. Some data recovery software tools also have feature supporting to recover lost, deleted or existing iMessages and export their content to the computer. The lost files can be previewed before restoring for the user to select if he/she wants to restore selectively/wholly. Recovery modes are also provided separately for the three iOS devices that fit your need. 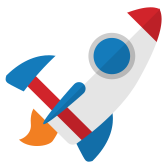 Data can be exported to Windows or Mac computers in formats like XML, CSV, XLS and PDF too. Data can be recovered from iPhone and iPad by using iTunes or iCloud backup files even if the device is lost or damaged or stolen. Choose a software by the way in which you need your data to be exported. User-friendly and easy interface helps a lot to easily navigate and get your required work done. Some tools can do everything automatically, all you need to do is to connect the device to the computer, scan and wait. Optimizing the recovery process with less interaction from the user is an added advantage. 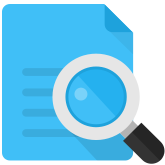 Few tools automatically categorize the same type of files making it much easier for the user to understand what he needs specifically. The iOS data recovery software tools should support both Windows and Mac OS but it depends on each tool’s individual system requirement supporting their specific versions of operating system. 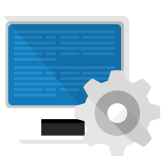 The supported Windows OS in general are Windows 10, Windows 8.1, Windows 8, Windows 7, Windows Vista, Windows XP (SP2 or later) and Windows XP (32-bit/64-bit). The supported Mac OS in general are Mac OS X 10.5, Mac OS X 10.5, Mac OS X 10.6, Mac OS X 10.7, Mac OS X 10.8, Mac OS X 10.9, Mac OS X 10.10, Mac OS X 10.11 Capitan, Mac OS X 10.10 Yosemite, Mac OS X 10.9 Mavericks, Mac OS X 10.8 Mountain Lion. The overall system requirements considering most of the iOS Data Recovery Software on an average is a minimum processor speed of 1GHz or above Intel/AMD CPU (32 bit or 64 bit), minimum RAM of 512MB, a minimum free hard disk space of 1GB or more. Always check your system specifications and compare with the software system requirements and then proceed with the purchase. It is always suggested to pick a software which allows trial version to have a better understanding if the software meets your requirements in practical application. 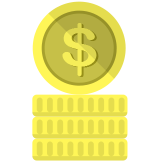 That’s because, some trial versions do not encompass important features, then the 30 days’ money back guarantee policy comes in handy if you are not satisfied with the software product as you can get your money refunded without any loss. Most of the data recovery software applications do not provide “Free Trial” and they are priced in the range of $39.99 to $69.99. Always taking a backup with iCloud and iTunes storage helps in recovering the lost data from the devices but it is worthy to try the iOS Data Recovery Software’s if at all any disaster happens like lost/stolen, damaged to retrieve the lost data. User guides, Frequently Asked Questions(FAQ’s), pictorial representation documents assist the user to grasp the working pattern. 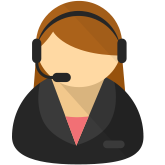 7 X 24 service through telephone calls, live chat facility, support through emails or tickets are always an added benefit for the users. It builds the trust to the users if there is a customer support ready to assist them if any problem arises during execution. 7 X 24 assistance is required because the iOS devices and software product are bought universally and the time zone difference between countries should not affect the time of need and help in getting through it. 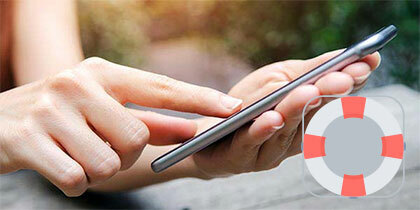 Aiseesoft FoneLab can do a fast and trust-worthy job when it comes to iPhone data recovery. You can recovery various types of data in iOS devices, including video and audio files, image files, contacts, SMS, memos, WhatsApp, etc. With a streamlined interface, the whole data retrieving progress is quite easy. It supports many iOS devices and can recover data from various disastrous situations. Aiseesoft FoneLab supports recovering data from many iOS devices, including iPhone, iPad, iPad Mini and iPod touch. It can recover almost all the data types like multimedia files, photos, contacts, Safari history, WhatsApp, text messages, voice memos, etc. Aiseesoft FoneLab is easy to download and install. Use the “Start Scan” button to scan for the lost files. Users can easily select the files that need to be recovered and then use “Recover” button to get them back. The lost files will be saved to the computer and users can transfer them back to iOS devices. 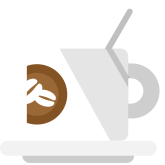 The whole scanning process is very fast and the scanning results are categorized so that users can choose whatever they want in a few clicks. Aiseesoft FoneLab allows users to recover data from their iTunes cloud backup. This is a very useful feature because many users may have backed the important data up online – sometimes it can be more efficient way to retrieve them via downloading instead of scanning and local recovering. 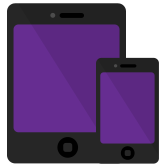 The FoneCopy feature is able to transfer data between iOS devices and iOS devices, bridging the gap between two systems. Aiseesoft FoneLab has a simple interface while it provides enough capabilities to recover almost all types of data from various iDevices. Its working speed is lightning-fast. The price is quite fair for all users. The trial version comes with very limited features so you may have to pay to get some essential functions. The iOS Data Recovery tool of the dr.fone toolkit is able to restore lost date in users’ iPhone, iPad and iPod touch. It runs fast and has a very high recovery rate. It allows users to verify data in detail before recovery. It is very safe because the existing data will not be replaced by the retrieved ones. Dr.Fone iOS Data Recovery is able to recover data from iPad/iPad Mini/iPad Air/iPad Pro, iPhone (7 supported) and iPod touch 4/5. There are 16 types of data can be recovered like photo album, videos, messages, call history, contacts, Safari bookmarks, WhatsApp messages and many more. 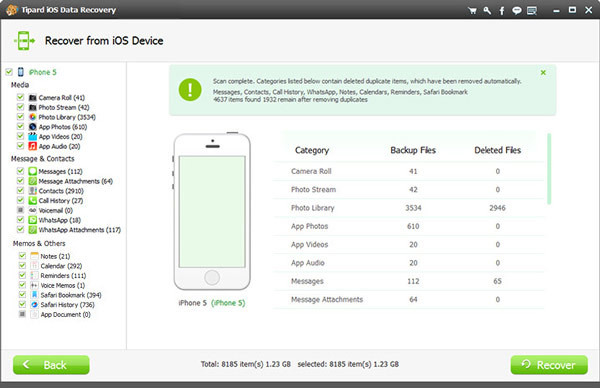 Dr.Fone can back up and restore users’ data from iTunes but data backup allows transfer between iOS devices only. Fortunately, the WhatsApp files can be backed up, restored and transferred between iPhone and Android devices. Dr.Fone can also help in case of frozen devices to reset them back to normal status while keeping all the data intact. Dr.Fone iOS Data Recovery is compatible with all the iOS devices as well as many Windows systems. The recovery work it does is splendid. It even supports Window systems. The developer will periodically release updates to make sure the software’s firewall is up-to-date. Basic features like data recovery are unavailable in a trial version. iMyFone D-Back can recover lost data from all major iOS devices including iPhone 5/5s/5c/6/66s/6 Plus/6s Plus/SE/7/7s, iPad Air/Mini/Pro/The new iPad and iPod touch 1-6. It can recover data like text messages, call history, contacts, photos as well as some third-party app data including WhatsApp messages, Skype, Kik, Viber, etc. The 4 modes for recovery files are very useful for various situations. 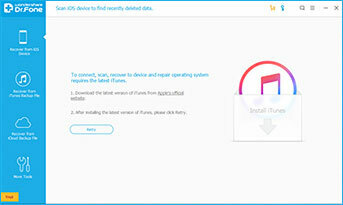 The Smart Recovery mode allows users to instantly retrieve the data based on file types; the Recover from iOS Device mode is to recover data stored in the iOS devices instead of iTunes/iCloud; the iTunes and iCloud Backup Recovery modes are only available if users have synced the data on iOS with iTunes/iCloud. The scan and recovery process is very fast, which only takes a few seconds. The 4 recovery modes also speed up the process. Uses don’t have to do much except for click some buttons to choose the files that need to be restored. iMyFone D-Back comes with a minimalistic interface which makes it super easy to use. It does a swift data recovery work. There are 4 recovery modes available for different kinds of needs. It is able recover data from many third-party applications. The data recovery as well as some other features is not included in the trial version. Macgo Windows iPhone Data Recovery has both Windows and Mac versions to enable users to recover lost data in iOS devices. It has a very satisfying recovery rate. Meanwhile, it is a multifunctional toolkit that has many tools for iOS system and data processing like system recovery, data eraser, data transfer, etc. As for the supported formats of data, it can recover: Messages, Photos, Video contacts, calendar, reminder, Safari Bookmark, WhatsApp messages & media, voice memos, third-party app documents/photos/video, etc. Macgo Windows iPhone Data Recovery can recover data from many iOS devices, including iPhone series (5/5s/5c/6/66s/6 Plus/6s Plus/SE/7/7s), iPad series (Air, mini, the new iPad (WiFi, WiFi+4G), iPad 2(WiFi, wi-fi+3G)) and iPod series (touch 4/5). It supports iOS 6/7/8.3/9. Macgo Windows iPhone Data Recovery remains one of the easiest software. The installation and recovery process are very straightforward with the software guide. Macgo Windows iPhone Data Recovery can recover data from many types of third-party applications, e.g., WhatsApp messages, photos, video and messages. It can transfer WhatsApp data between old iOS devices and newer iPhone/iPad. Macgo Windows iPhone Data Recovery has excellent support for all the latest iOS devices. It’s easy to use and does a fast job in scanning and recovering data. The full version of Macgo Windows iPhone Data Recovery is quite costly while there is no live chat support to provide instant support to users in urgent need. It can recover data from iPhone 7/7s but on its homepage, the latest supported iPhone is iPhone 6, meaning that the developers hasn’t update the homepage of the website for a while. Tipard iOS Data Recovery is made for iPhone, iPad and iPod data recovery. Users can restore deleted/lost data such as multimedia contents, text contents and app data. It supports almost all the iOS devices including iPhone, iPad and iPod series. The recovery process is fast, easy and lossless. Users can preview the files and choose certain files before recovery. Tipard iOS Data Recovery is able to recover lost data from iPhone (including iPhone 7/7 plus), iPad 2/3/4/Air, iPad mini/mini 2 and iPod touch 4/5. The file types supported are music, video, photos, contacts, messages, call history, notes, calendar, reminders, iTunes U, podcasts, WhatsApp messages and files, etc. Tipard iOS Data Recovery allows users to preview the files before recovery to find the target files efficiently. There are thumbnails for image files while users can rotate and auto-play them. Tipard iOS Data Recovery is a lightweight software. It performs the scan quickly and has an above-average recovery for text based files. Tipard iOS Data Recovery assures the data safety. It is able to restore data without rewriting the existing data. The producer also assures that private info like iTunes and iCloud logins will be protected. Regular update are provided to guard the software against latest malware. Tipard iOS Data Recovery provides awesome support for older iOS devices iPhone 4/3GS, iPad 1 and iPod touch 4 users. The file preview feature is very practical. Tipard iOS Data Recovery focuses more on text based files so it actually recover less fewer file formats than its competitors. Also, the features provided in trial version are very limited.